After last week’s movement, the Registered Gold available for delivery has dropped to 370,137 ounces. This is important is because the maximum number of gold contracts any one entity can own equals 3000 contracts. 3000 gold contracts equates to 300,000 ounces. This means that one entity could put on the limit long position, demand the gold, and exhaust 81% of the deliverable supply of gold. One entity!!! This chart is a graphical representation of the amount of paper gold versus the Registered Gold available for delivery !? Gold recovered slightly on Friday, but suffered its first weekly drop in a month after a mixed bag of U.S. economic data. With spot gold trading near $1,240 US, veteran trader Tres Knippa says investors should consider accumulating physical gold to take advantage of a delivery squeeze. Pointing to recent Comex futures data, Knippa says there may not be enough gold to go around if everyone with a futures contract insists on taking delivery of physical bullion. He believes gold shot through $1,900 in 2011 before plunging last year because of an explosion in the amount of gold futures contracts – setting up separate markets for “real” and “paper” gold. “But the underlying story here is that the people acquiring physical gold appear to be continuing to do that. 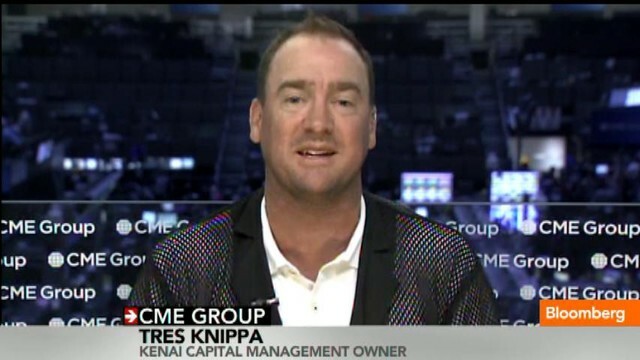 And that’s what I think is important,” Knippa adds, noting large investors like hedge fund manager Kyle Bass are taking delivery of the gold they’re buying. U.S. gold futures for February delivery rose slightly to $1,243.20 an ounce in early Friday trading. Knippa says he would buy physical gold in yen as opposed to U.S. dollars to take advantage of the Bank of Japan’s plan to increase the money supply. This entry was posted in Gold, Uncategorized by Adrian Rowles. Bookmark the permalink.